The Shigoku oyster is a suspended culture pacific oyster that is repeatedly tumbled during the course of its grow-out. 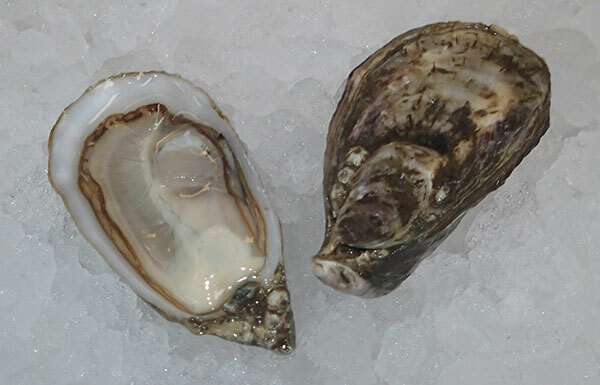 It is raised in two different Washington locations; coastal Willapa Bay and Puget Sound. The tumbling process takes place while the oyster is in the water by means of a round floating basket that is constantly turned end over end by wave and tidal action. The result, which takes almost two years, is an oyster that has a smooth, hard and round shell. It tends to be salty, mildly sweet, with a long fruity finish. Shigoku Oyster - Marinelli Shellfish Co.